What Kind of Power Does a Rising China Need? China has mainly focused on economic power, but other types of reform will shape its continued rise. As a new-comer to the dominant Western system, China’s emergence so far has been relatively different from that of the previous world powers, which acquired their dominant position either directly or indirectly through wars. Since the late 1970s, China has successfully realized its economic growth by merging into the U.S.-led international community. China has become a true rival to the U.S. if measured by total GDP. Despite its rapid economic expansion, China has yet to convince the international community of its claimed peaceful rise, particularly in the midst of the on-going disputes with some of its neighbors. China may find itself puzzled by these reactions, since a peaceful rise is not only diplomatic propaganda but also what China truly needs to maintain its economic growth and political stability. In the meantime, China has put on a somewhat harder image in recent years. Within Western academia, there is a near-consensus that China lags in upgrading and enhancing its soft power, which is exactly what a rising China should focus on. Soft power, however, can be perceived through two aspects: who you are, and how you behave. Soft power links domestic politics and foreign policies, but fundamentally it is about who you are: the quality of being a successful great power. In Joseph Nye’s words, “true soft power comes from the story of being successful.” Therefore, in the long term, soft power is not merely about how many Confucius Institutes China has built around the world and how many energy and natural resource projects China has poured money into on other continents. Instead, soft power is determined by how successful China will be as a stable, prosperous, and peaceful country that abides by its great power responsibilities. Economic power alone, as a hard measure, cannot ensure a perpetually peaceful rise. 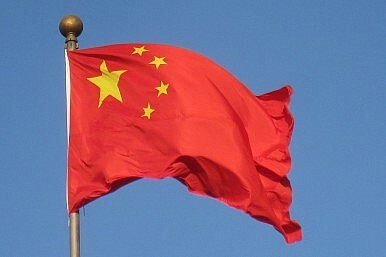 Within its borders, China needs to reform and make a series of changes to its social and political operations. It is in this regard that a rising China particularly needs the sort of power gained through change and reform. Entering into 2014, Chinese President Xi Jinping took on a new role as the leader to the Central Reform Leading Group. This shows China’s determination to enhance the country’s “great revolution” of reform and opening-up. Usually, such groups would be led by the Premier of the State Council, for example, Li Keqiang. However, this new arrangement does not necessarily indicate any domestic power struggle or Xi Jinping’s personal leadership style. Instead, it proves the Communist Party of China’s determination to push forward reform at a greater scale, in which the Party, rather than the government, obviously takes the decisive role. There are many reasons why China must further its reform at this point. First and foremost, this is a transitional period. Deng Xiaoping took the courage to reform and open up in the late 1970s, after China had tremendously suffered from the Cultural Revolution. However, so far China’s reforms have not touched upon the deeper part of social and political lives within the nation. Widespread corruption and incidents of social unrest suggest that China’s economic development and social stability face mounting obstacles and pressures from social and political institutions that have remained almost unchanged since the eras of Mao and Deng. But now, topics that had previously remained taboo have emerged in public discussions, though there are concerns about how far China can let it go. Nevertheless, issues such as abolition of the reeducation through labor system (in Chinese 劳教, laojiao) show that China is searching for political credibility and accountability through more people-favored measures. Hence, The Economist pointed out two proposals hidden in the CPC’s recent Third Plenum report that “could change Chinese government”: allowing the development of social organizations, and creating suitable separation of judicial jurisdiction systems from administrative areas. Whether these measures will finally lead to substantial political reform and then social liberalization is still unclear. A radical political reform is regarded as suicidal by the CPC, given what happened to the Soviet Union in the early 1990s. However, the recent measures strongly indicate the Party’s determination to reform and change at China’s own pace. By their nature, such reforms and changes may gradually help to improve and enhance China’s soft power in international politics, along with restoring confidence in China’s promise of a peaceful rise. The World Doesn't Think Much of China’s Leaders (Literally)'Moral Art,' Mao Zedong, and the CCP's Quest for Soft PowerChina's Xinjiang Province Eyes Anti-Terrorism LawChina Reveals Members of New Leading Group on ReformWill Xi Jinping Visit North Korea This Year?